This is a perfect BEGINNER pattern! Two rectangles knitted in a simple basketweave pattern. Sew top shoulder seams and side seams. 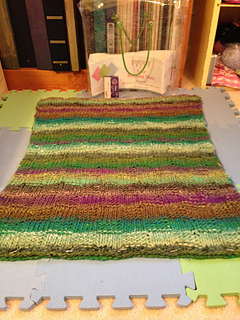 Choose any colorful, self-striping, variegated yarn in a bulky weight. 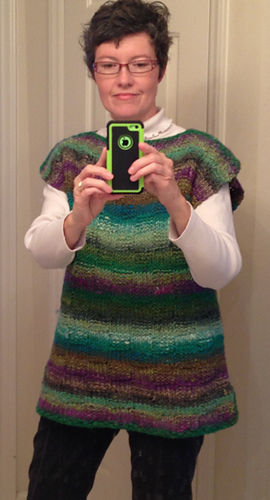 Make it in a weekend, block it, and wear to your next local author book-signing like I did!! 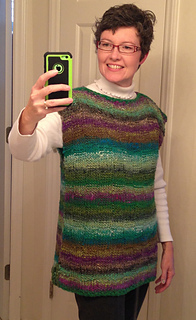 Mine was still damp when I pulled it off the blocking board…I just couldn’t wait to wear it. My mom now has two of them and we wear them ALL THE TIME! !